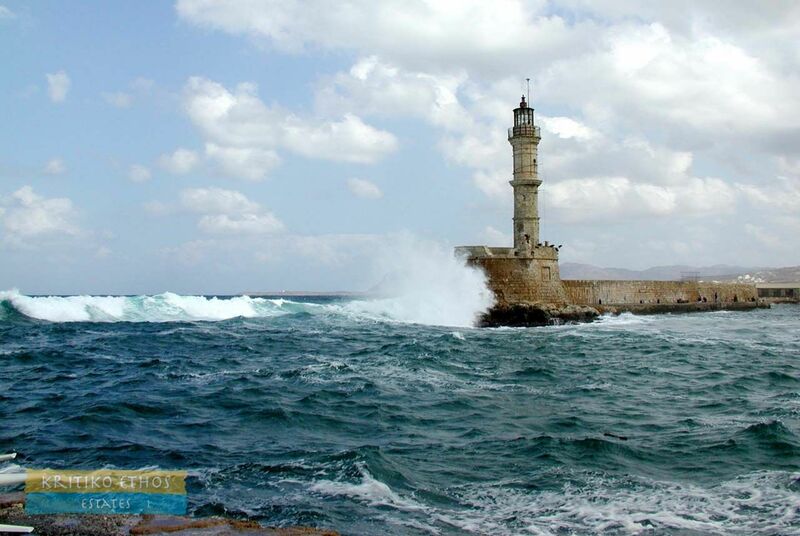 Crete is a truly wonderful place to live! In a nutshell, living in Crete is a bit like living in paradise if only you can muster the patience required! It is a sunny, warm Mediterranean Island (in fact the southernmost of the Greek Islands) where even the winters are mild and with a truly open and hospitable attitude to foreigners. The food and drink are excellent, the local entertainment is boisterous and steeped in the island's unique culture, and the climate could not be better. Our summers are pleasant and generally dry with temperatures only rarely reaching over 37°C. Spring comes in about April with the weather warming and the nights still cool. Summers generally arrive by late May and the warm clear weather runs right through until the end of September or early October. 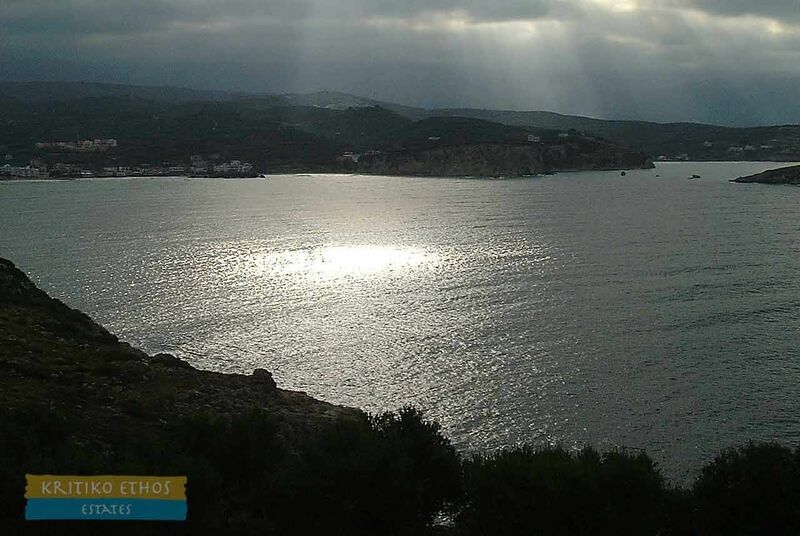 Western Crete has adequate rain from about November through March ... this helps keep this part of Crete green and provides the necessary soil moisture for our olives, oranges, and an abundance of other fruits and vegetables. 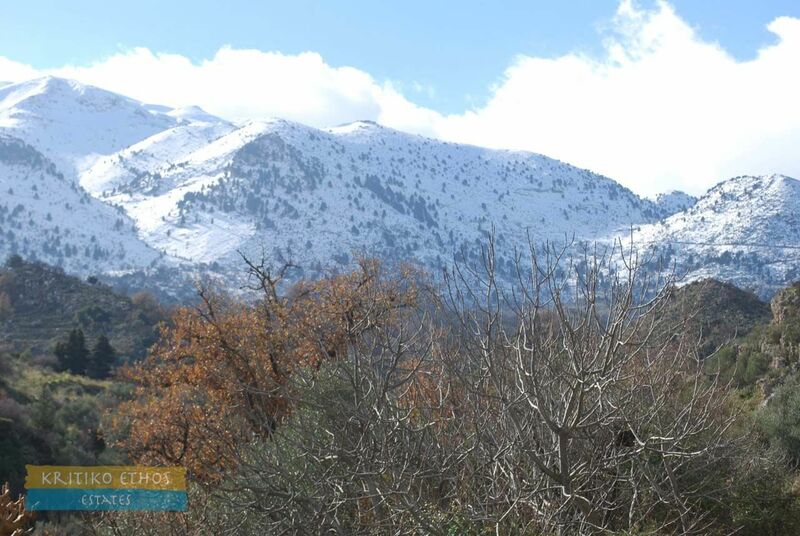 Temperatures at night can drop to 3 to 5 °C and a dusting of snow can occur in the higher villages such as Melidoni. 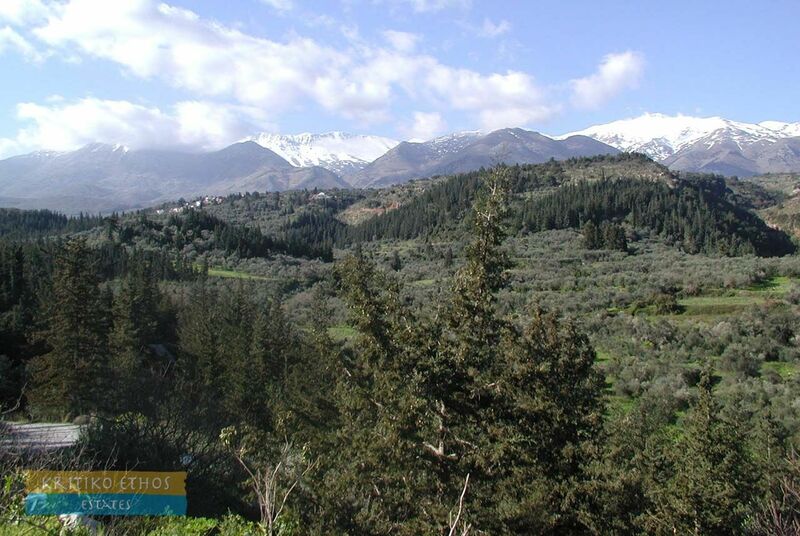 In addition to its fine sandy beaches and abundant sunshine, Crete is blessed with a range of majestic mountains. 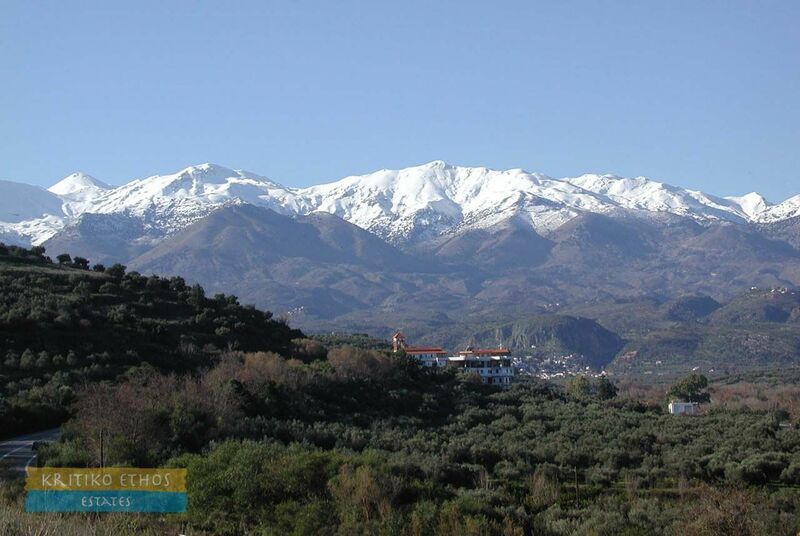 Mount Psiloritis in central Crete is the highest at over 2450 meters, the Lefka Ori range, often referred to as the White Mountains, has one peak just a few meters less than Psiloritis and more than 30 peaks over 2,000 meters. Snow begins to accumulate on the mountains by late November and the last traces are visible until late June or early July. In addition to its natural beauty, all of this snow also means a plentiful supply of clear fresh drinking water for Western Crete. Two excellent sites to learn more about our island are WikiTravel and InterKriti. And last but not least, Kat Christofer's LivingInGreece site is an excellent resource for information about living, working, and travelling in Greece. This site is (more or less) written for Americans but the information Kat provides is very useful for everyone and the visa guides are applicable to virtually all non-EU citizens. Western Crete has retained much of its traditional heritage, customs and charm ... very good reasons why it is such a wonderful place to live. Each village is distinctive in its own right and each offers its own unique features and amenities. Only a few years ago Almerida was a sleepy beach-side village with smattering of rooms-for-rent and a few small tavernas. Contrast that with today ... two large tourist hotels, dozens of tavernas and bars, several mini-markets, wine shops, and so on! But of course the reason for the development is clear, the long sandy beach at Almerida is fantastic with its generally shallow and warm clear waters and white sand. Definitely worth a visit, even in the middle of winter when there are fewer tourists and you can have the beach almost to yourself! Almerida is just a few minutes east of Kalives. Archontiki is a tiny protected traditional village with a number of fine old homes available for purchase and renovation. Aside from its small kefenions, there are no services in the village. 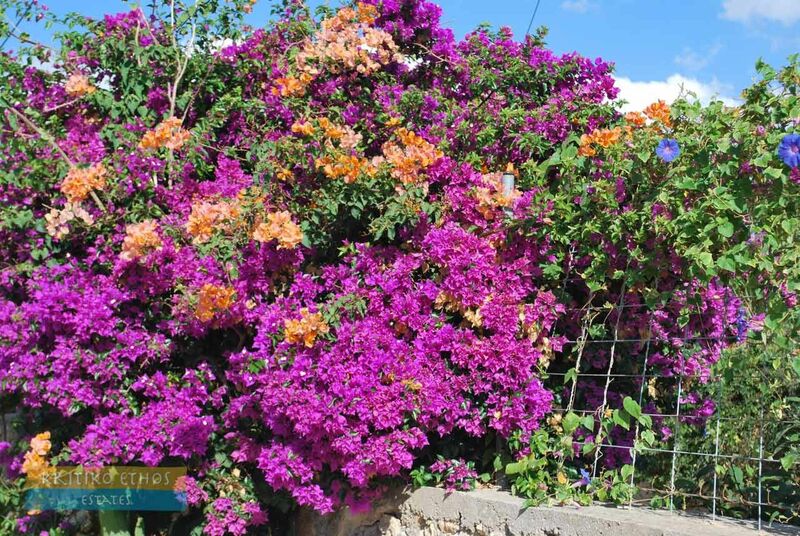 The larger full-service villages of Episkopi and Argyroupoli (famous for its springs and handicrafts) are nearby. 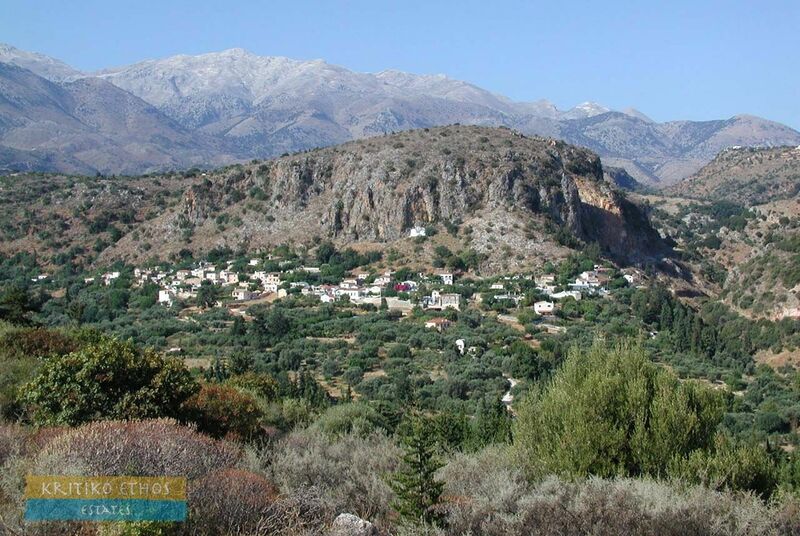 This small village is located on the main road going south from Kalives towards the mountains, about 5 minutes by car and just before the village of Nio Chorio. An old and majestic platanos tree dominates the small plateia … a wonderful shady place to relax on a hot summers' day. There is a small kafenion here as well as a mini-market, two excellent tavernas, and arguably the best butchery and cheese shop in all of Apokoronas. This small cluster of homes is located about 2½ km east of Geeorgioupolis and just half a kilometer from the long white sandy Georgioupolis beach. It is very popular with holiday-makers but has a significant population of sun-seekers! Many books have been written about this charming old city and we can't add much in this little space! It is a wonderfully small city … you can walk from one side to the other in less than 30 minutes. The charming old Venetian harbour area is dominated by the old lighthouse and offers may fine shops, boutiques, galleries, tavernas, bars, and coffee shops. A truly magical city that we are proud to call home! This charming and almost hidden village is well off the tourist track. 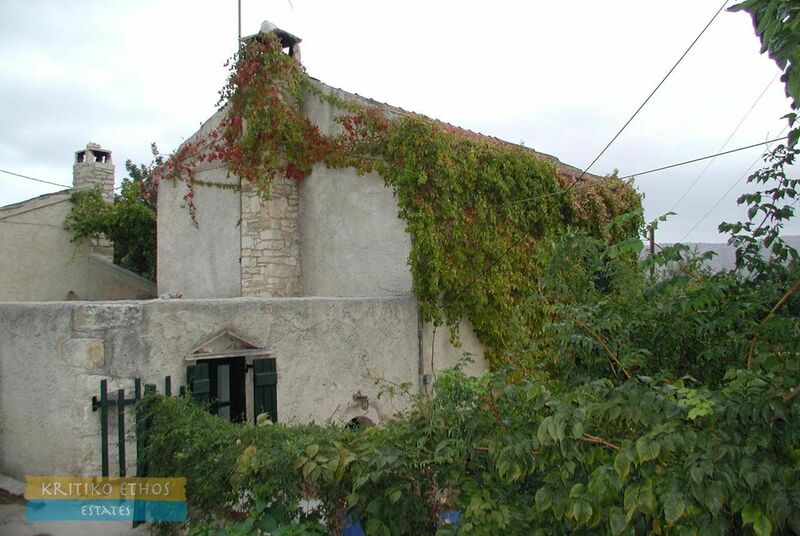 Historically protected, the village has many traditional homes and features, and even its own website (www.douliana.gr). There is little we can add to what is on their site other than to say it is most definitely a wonderful place to visit and an even more magical place to live! This small cluster of homes is located about 3 km east of Geeorgioupolis and just half a kilometer from the long white sandy Georgioupolis beach. It is very popular with holiday-makers but has a significant population of sun-seekers! Drapanos is perhaps the most remote village on the Apokoronas Peninsula and can be reached from Kokkino Chorio via the road from the glass factory or from Vamos and on past Kefalas. 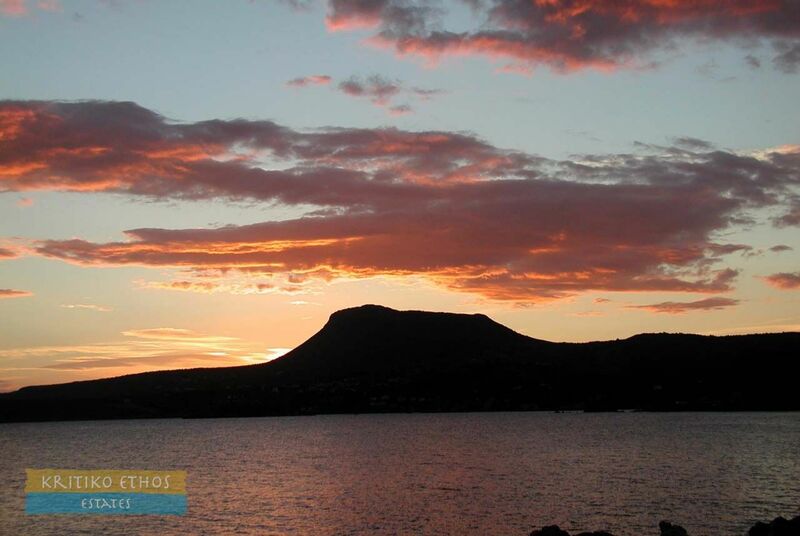 It is situated south of Kokkino Chorio and on the opposite (south) side of Drapanos Mountain. Despite its "remoteness" (about 15 minutes drive to Vamos) there are a significant number of foreign residents drawn there by the charm of the village and its fantastic views. Like Melidoni, Embrosneros is located in the low foothills of the White Mountains and offers "up-close-and-personal" views to these magnificent peaks. The village is known for its old cheese factory and a fine stone-built taverna. The ruins of an old Venetian castle are within the village boundaries. The charming and surprisingly quite large village of Fres is located in the low foothills of the White Mountains about equidistant from Vrysses and Agii Pandes. It has the necessary amenities including several fine tavernas, mini-market, a bakery, and a butcher. Its high elevation and proximity to the mountains means it offers excellent views as well as easy access to mountain trails. Gavalochori is an old traditional village home to many foreign residents, many of whom have restored some of the fine old homes in the village. It is one of the officially protected traditional villages in Crete and many very old features including the old olive press are extant. The village is also home to the Historical and Cultural Museum ... a wonderful place to explore and learn about traditional life in Crete. The hills "behind" the village offer excellent sea views. Gavalochori offers many amenities and is about 15 minutes by car from Kalives. 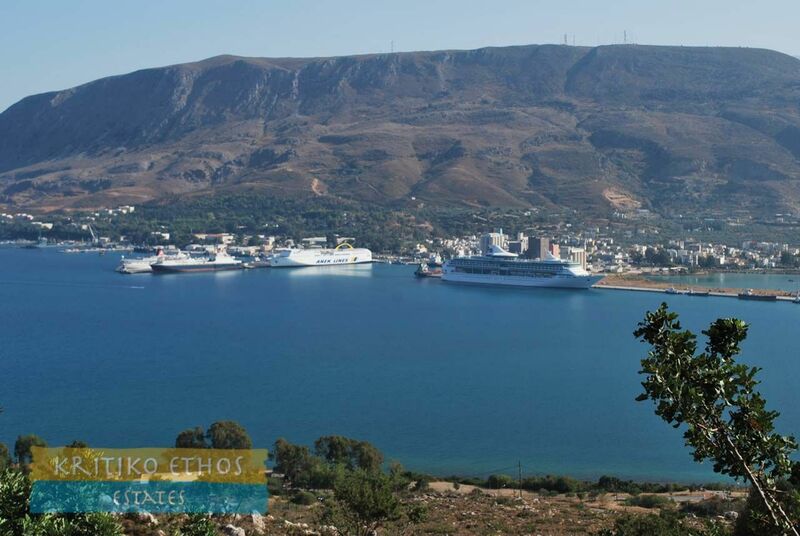 Georgioupolis is a popular package tourist resort and offers fine beaches and many many tavernas, bars, and coffee shops. There are many services including markets, a petrol station, a bank, and emergency medical clinic. Many of the shops close during the off-season. This village is about mid-way between Chania and Rethymnon. This thriving seaside village is very popular with tourists throughout the year. Kalives offers most services including banks, super markets, fruit and vegetable sellers, medical and dental services, pharmacies, post office, book stores, clothing and shoe shops, gift shops, auto repair shops, and so on. 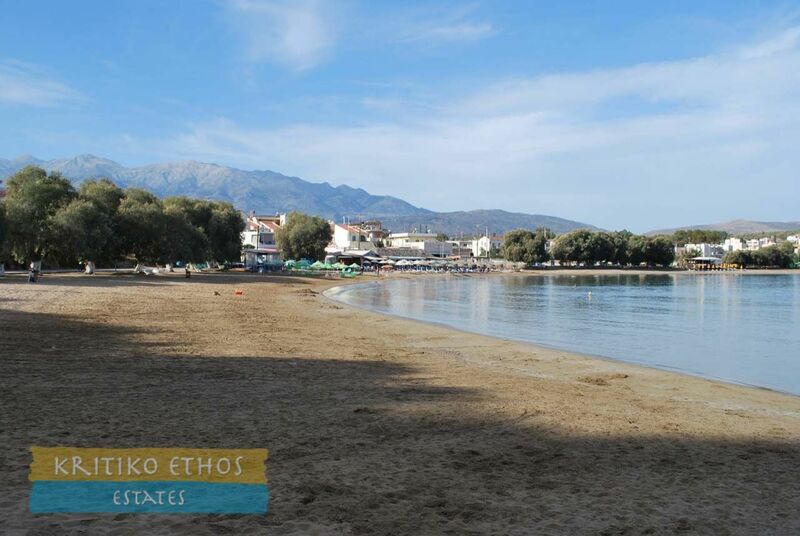 And of course fabulous beaches and many fine tavernas and coffee shops to relax in and enjoy! Carnival is celebrated here with a huge parade and much noise, dancing and celebration! Kalives is about 15 minutes by car from the Souda ferry terminal, about 25 minutes to the centre of Chania, and about 40 minutes to the airport. Kalives and its wide range of amenities are open year-round. Kambia is a tiny village just off the "high" road between Plaka and Kokkino Chorio. Several lovely restored homes as well as many fine villas taking advantage of the fine sea and mountain views. The very charming traditional village of Kefalas is situated on a high plateau (280m above sea level) about 4 km east of Vamos. 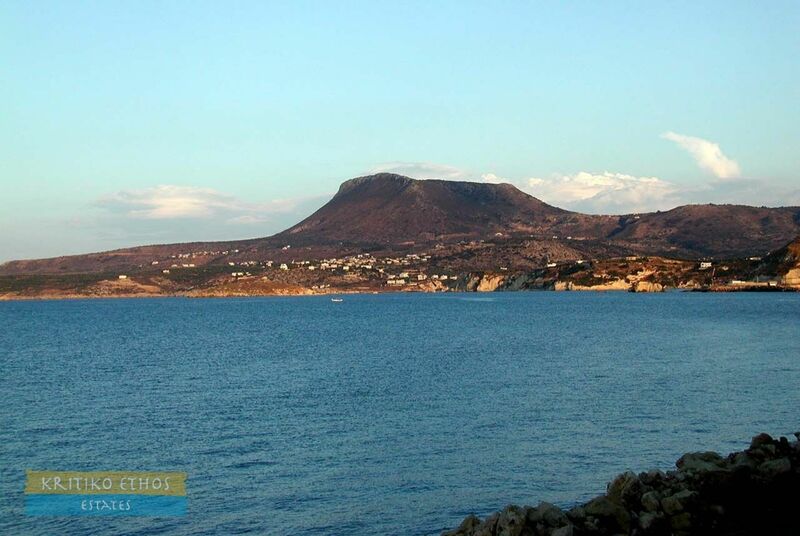 Its prominent location means that there are wonderful views toward Georgioupolis, Rethymnon and even Mt. Psiloritis. There are many fine old homes on the village's narrow lanes. Much of the city's architecture dates from the Turkish times. The old public school of Kefalas near the shady plateia has been converted into an Environmental Education Centre. The village has two mini-markets along with the ubiquitous kafenions and a taverna. More complete and comprehensive services can be found in Vamos. A new bypass road has just been completed to reduce the traffic through the village and has greatly improved the quality of the village. Kokkino Chorio can be reached from Plaka by either the "low" road closer to the coast and then going up the hill or by the "high" road that passes through Kambia and past the famous glass factory. 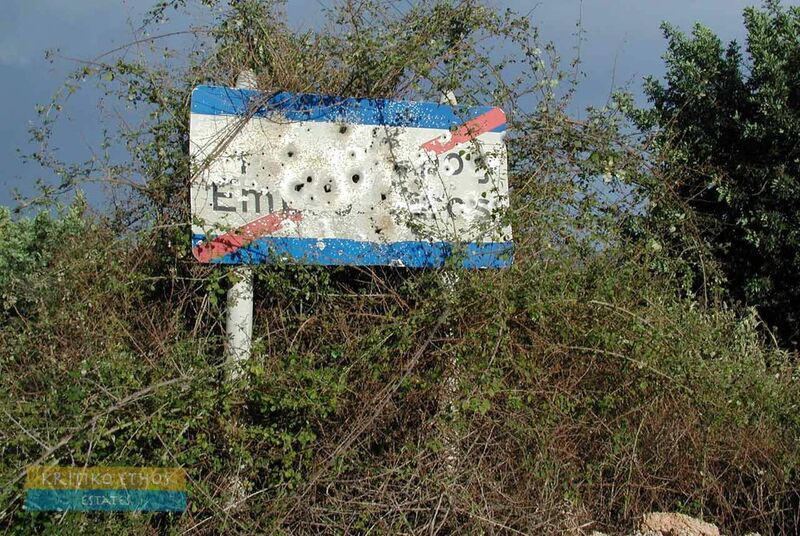 The translation of its name is "red village" and there a number of legends as to how Kokkino Chorio was named ranging from the red soil of the area to the bloodshed when the village was overrun by the Turkish forces in 1821. No one really know, but that aside, it is a charming village located on a slope running from the sea upwards to the north face of Drapanos Mountain offering fantastic views to Almerida, Souda Bay, the Akrotiri Peninsula and the White Mountains as well. These views are the primary reason that so many foreigners have built homes in and around this village. The glass factory deserves a mention here ... it is more of an huge artist's studio where recycled glass is hand-blown and turned into beautiful vases, lampshades, and decorations. Well worth a visit! There is but one taverna/kafenion in the village; other amenities can be found in Plaka, Almerida, and Kalives. The area around Lake Kournas has several small villages as well as the village of Kournas situated about 2 km from the lake itself. Kournas village offers many amenities while the small villages (Mouri, Mathes, Kavallos) dotted around the valley below are primarily residential complexes. This very picturesque village is located just past Nio Chorio. It comprises exclusively old stone homes with a very small number of small new homes in the olive groves below the village. The single kafenion in the village is quiet and relaxed, mostly frequented by the retired village residents and the few foreigners living there. A charming and historically rich village. See Kournas above. Kavallos is the village closest to Lake Kournas. Megala Chorafia (and Aptera) are located just off the National Road about 5 km east of Souda. Aptera was a powerful city-state in Minoan Crete and was destroyed by an earthquake in the 7th century. 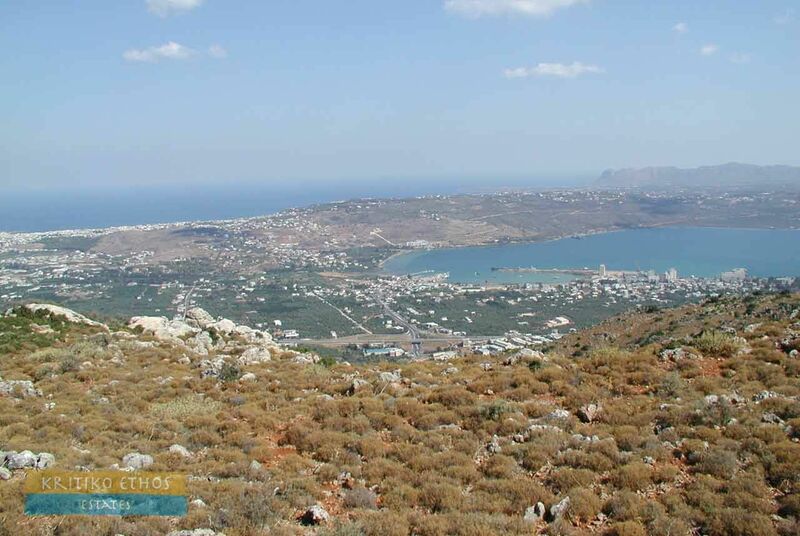 It commands an amazing view over Souda Bay and the open sea to the north. No invader could enter without being sighted! The Turkish occupiers built a large fortress near the ancient site. The village has two excellent tavernas featuring live music during the summertime. There is also a mini-market. In addition to the sea views, the are offers spectacular mountain views. Melidoni is a small village in the foothills of the White Mountains. The mountain views are fantastic ... so close it feels as if you could just reach out and touch them! Owing to its elevation, Melidoni will often get a dusting of snow in the wintertime. The 450 m elevation of course mean amazing distant sea views. Melidoni is popular with hikers and walkers and many trails leave for higher elevations from this village. Nerochori and its neighbour Paidochori are both very small traditional villages just south of Macheri. Although they can be reached from Macheri by a winding agricultural road, the easier route is from the National Road exit at Agii Pandes. The villages offer only kafenions with more amenities in nearby Aggi Pandes, Vrysses, and Kalives. There are beautiful mountain and countryside views from many areas around the village and the pace of live is very Cretan ... slow and relaxing! This surprisingly large village is situated on the main road going south from Kalives towards the mountains, about 8 minutes by car, just after the village of Armeni. Most of the village homes are on the hills above the main road. Services include two well-stocked mini-markets, a pharmacy, several kafenions and a taverna, a sweet shop, hair salon, pharmacy, a paint and tool shop, and a large garden supply shop. Other amenities may be found in nearby Kalives. An old Turkish castle is situated on a hilltop high above the village. Nio Chorio is busy during the winter olive harvest and orange collection season and quite relaxed during the warm summer months. There are a number of foreign residents. Paidochori and its neighbour Nerochori are both very small traditional villages just south of Macheri. Although they can be reached from Macheri by a winding agricultural road, the easier route is from the National Road exit at Agii Pandes. The villages offer only kafenions with more amenities in nearby Aggi Pandes, Vrysses, and Kalives. There are beautiful mountain and countryside views from many areas around the village and the pace of live is very Cretan ... slow and relaxing! A small village located on the road between Kefalas and Drapanos, Paleloni has no services but offers a quiet and very traditional Cretan lifestyle. The gorgeous small rocky beach at Ombrosgialos (the only accessible beach on the east coast of Apokoronas) is close by. 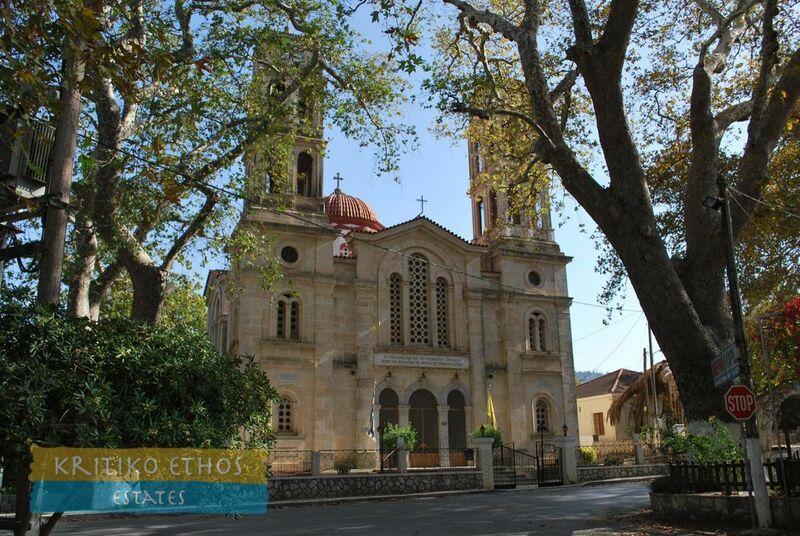 Plaka, like Almerida and Kokkino Chorio, was a tiny traditional village until about 2003/2004. Its fantastic views and proximity to Almerida beach (an easy walk down the hill, a slightly harder walk back up!) led many foreigners to build their homes around the village, and in a few cases restore some of the fine older homes. In the summer the charming and large village plateia is brimming with tourists from all over, many of whom return year after year. Due to the influx of new permanent residents, all the markets and tavernas (including an absolutely excellent and cosy Italian restaurant) remain open year-round. The tiny village of Selia (and its neighbour Likotinara) are located about 2 km south of Kefalas. They are home to a number of foreign residents seeking quiet village life away from the tourist crowd. 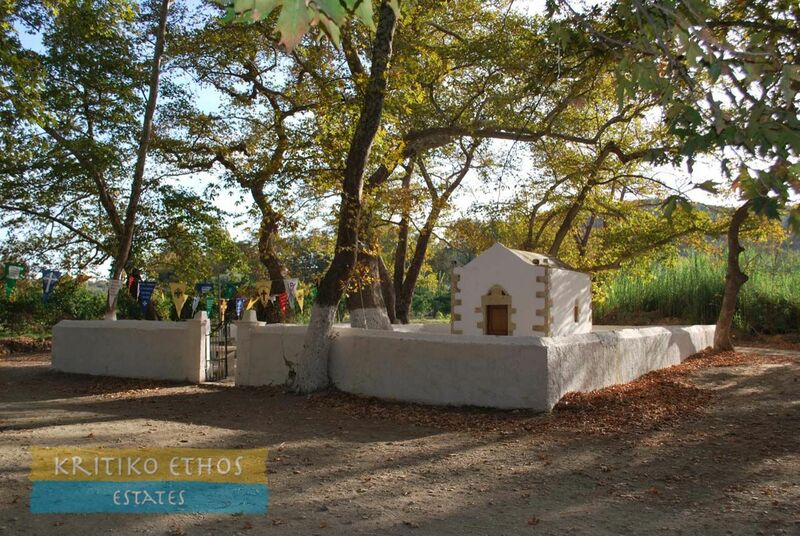 Stylos is known for its natural spring water and is a beautiful traditional village. Stylos offers a number of fine tavernas, several kafenions, and two mini-markets. Live Cretan music and traditional dancing running to the wee hours of the morning is popular during July and August. The hills to the south of the village offer fine sea and mountain views. The small nearby village of Samonas has an excellent taverna open year-round. In addition to the fine food and hospitality, the views from the taverna terrace are amazing! The small village of Tsivaras is situated about 2 km south of Kalives on the road to Vamos. 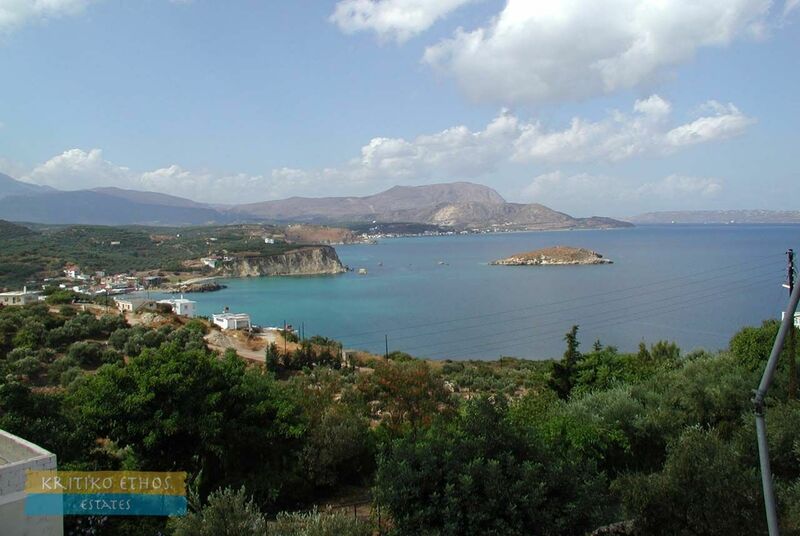 Tsivaras offers fine sea and mountain views and its proximity to the beaches as well as amenities in Kalives is a distinct advantage. Vafes is a surprisingly charming historical village located in the foothills of the White Mountains about three km southwest of Vrysses, roughly between Vrysses and Fres. 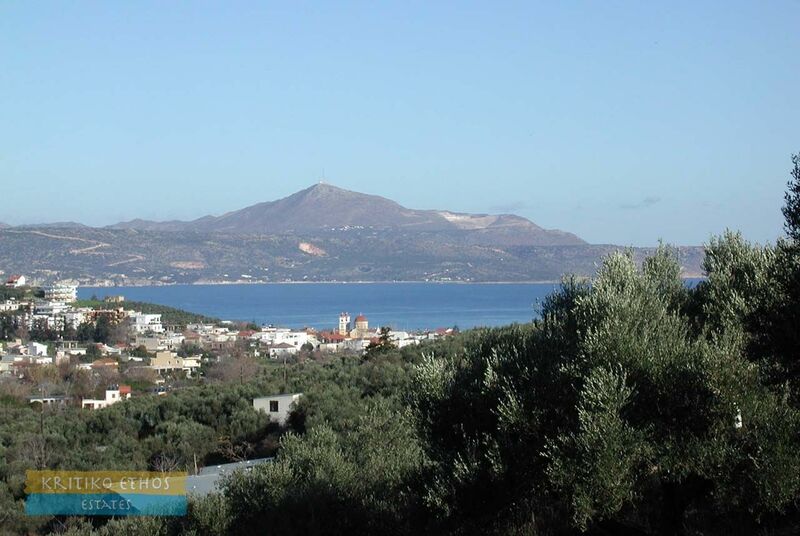 The village offers fantastic sea and mountain views and, like Melidoni, is the starting point for many hiking and walking trails. The village is also supporting agro-tourism and offers facilities to learn more of Crete's long and proud history and way of life. There are two large caves in the area. The large village of Vamos is another of the officially protected traditional villages in Crete, and it is certainly worthy of this status. Many of the beautiful old homes on the village's narrow and winding lanes have been faithfully restored. The villages features numerous art and cultural festivals, traditional shops and handicrafts, and a host of fine amenities ... everything one could ask for. It would be easy to spend a week or two just exploring the village without even going to the nearby beaches of Kalives! On a more serious note, the Greek government's 24-hour Health Centre in Vamos is a facility everyone should be aware of. It is centrally located, staffed 24 hours per day 365 days per year, and the facilities are good for emergency treatment or transport to the central hospital in Mournies (ner Chania) if necessary. Directions to the Health Centre are well signposted in and around Vamos. 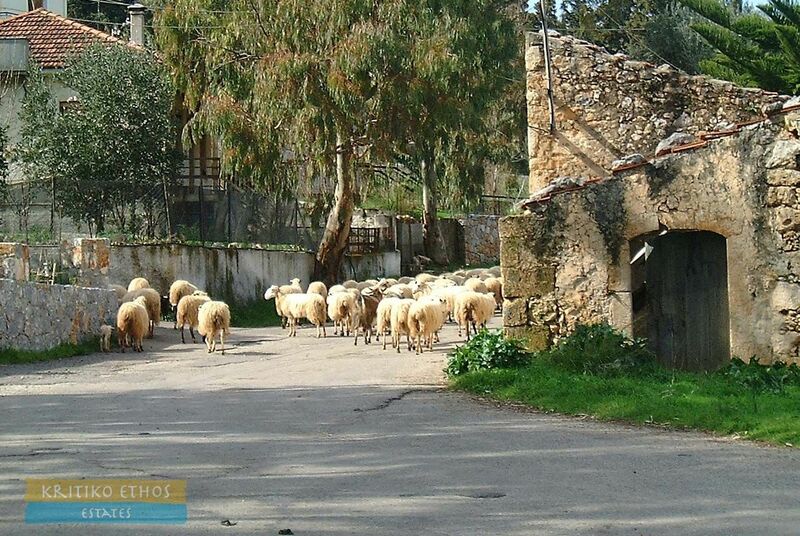 Xirosterni (literally "dry well") is a tiny traditional village just 2&frac12; km east of Vamos on the road to Kefalas. 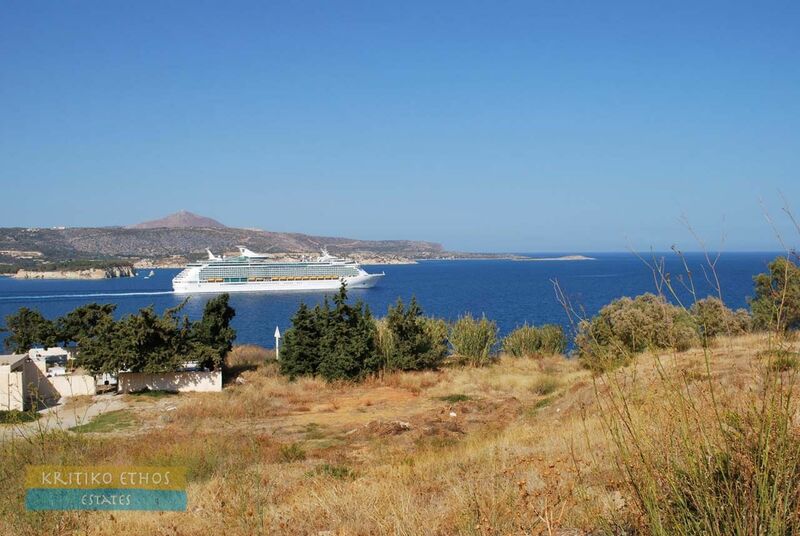 Located on the Apokoronas plateau, the village offers fine views of the White Mountains as well as distant sea vies. All necessary amenities can be found in nearby Vamos.